Track vacation and sick days for all your employees. Get up and running in seconds! Hrvey provides a central place to keep track of any kind of leave. Get an overview and generate reports. We believe in tools that adapt to your workflow and not vice versa. Managers can approve or reject leave requests right from their email inbox. 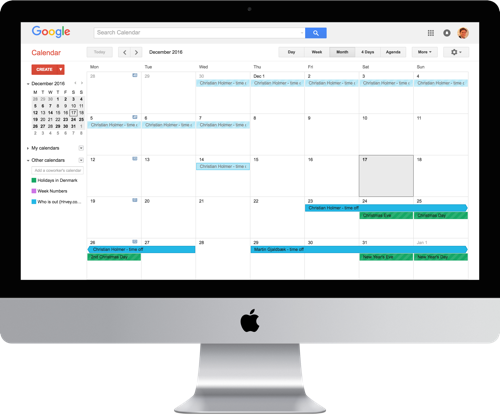 Time off is automatically updated in a team calendar, that you can see in Google Calendar, Outlook and on your phone. Set up different holidays and vacation allowances in each country. 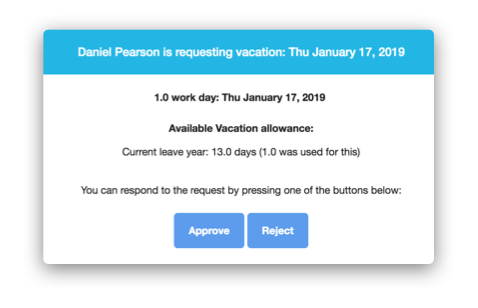 Get summaries of vacation and sick days easily export to a spreadsheet. 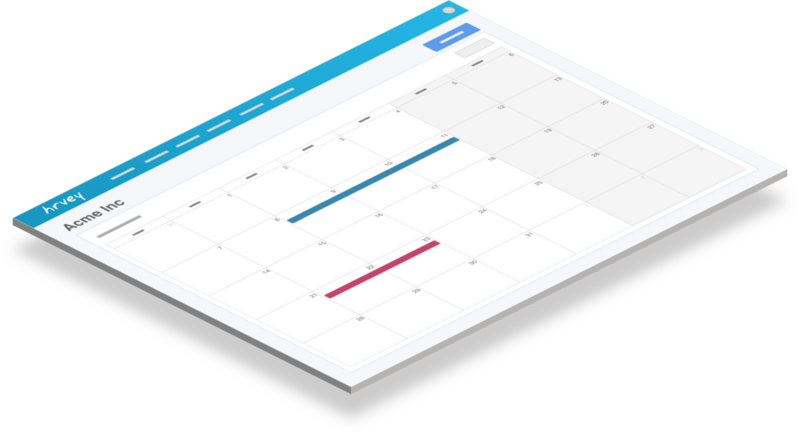 See who's out of office with the shared team calendar which is automatically kept up to date. 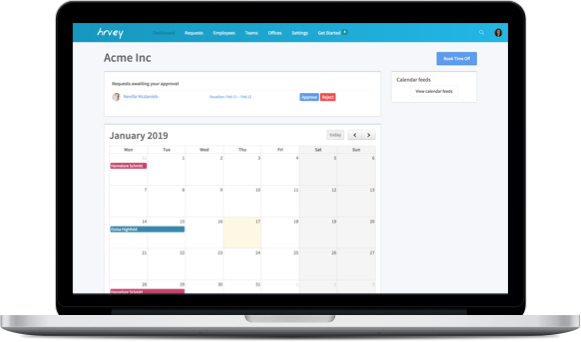 Vacation, Working From Home or Overtime - Hrvey can track it all. Can't remember the name of your new co-worker? Find it here. Keep track of how much of each leave type each person has left. Our Starter plan is FREE forever for as many users as you like. Additional features (for bigger companies) are available in our Premium plan.